For a unique way of traveling through Patagonia’s unique wilderness, an expedition cruise through the southern waters of the region should be top of your bucket list. But what can you expect from a cruise from Punta Arenas? With many incorporating visits to the iconic headland of Cape Horn, penguin breeding colonies in the Straits of Magellan and the vulnerable ecosystems of the Alberto de Agostini National Park, there are a plethora of incredible sights to be expected. 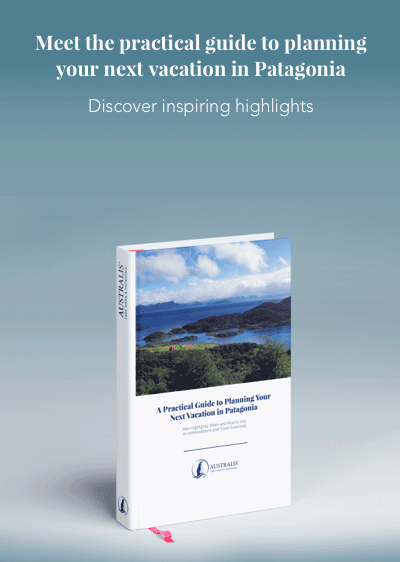 We’ve rounded up the key highlights and how you can go about organizing the itinerary of your dreams. The closest stop off on a cruise from Punta Arenas, Magdalena Island was once an essential point for ships to pick up supplies. Now, it’s a favorite feature of a cruise itinerary for tourists keen to meet its local residents: Chile’s largest colony of Magellanic penguins. And we do mean that you can meet them. A path actually weaves through the penguins, who are typically more than happy to pose for a few photographs from the safety of their nests or, if you’re lucky, even closer. A much smaller colony than the one on Magdalena Island, the Magellanic penguins of Tucker Islets are somewhat shyer – or forced to be thanks to restrictions on alighting onto the islands. However, Zodiac boats can get close to the beach and provide an excellent viewpoint from which to watch the penguins or the other birdlife normally spotted here, which includes eagles, Andean condors and king and rock cormorants. Named after the first voyage of the HMS Beagle in the late 1820s, the Beagle Channel has become an emblem of the age of exploration and the great voyages that “discovered” these South American waters. Today, intrepid adventurers can journey through this channel to encounter the astounding Glacier Alley – a short stretch of water fringed by some of Patagonia’s most impressive glaciers in Patagonia. Further along the Beagle Channel, Pía Glacier, the longest glacier in the southern hemisphere (if you exclude Antarctica), is another feat of natural engineering that plunges into the waters of the Pía Fjord. As part of a cruise from Punta Arenas, Zodiac boat excursions land near the glacier. These excursions allow for closer views of the ice or even trekking along the lateral moraine discarded at the glacier’s edges. The ocean around the barren, windswept basalt stretch of Cape Horn at the southern tip of the South American continent became the tragic watery grave of many a sailor who voyaged through these tumultuous seas between the 16th- and 20th-centuries. Nowadays, a poignant monument to these heroic seamen is one of the few structures built on the island and one of the main reasons why cruise ship tours in Patagonia seek to land on this fabled rock. Although Alberto de Agostini National Park is one of the largest protected areas in the whole of Chile, it receives few visitors each year, making it one of the most untouched parks in Patagonia. Zodiac excursions from larger cruise ships land at Ainsworth Bay, where a short trail grants wonderful views of the park’s most famous glacier, Marinelli. Further into the fjords, Águila Glacier is another highlight on a cruise from Punta Arenas. Passengers can hike to the base of this hanging glacier along a path flanked by UNESCO Biosphere Reserve designated ecosystems of subpolar Magellanic forest. Cruises depart from Punta Arenas with itineraries ranging from four to seven days and terminating in Ushuaia, in the Argentine side of Patagonia. 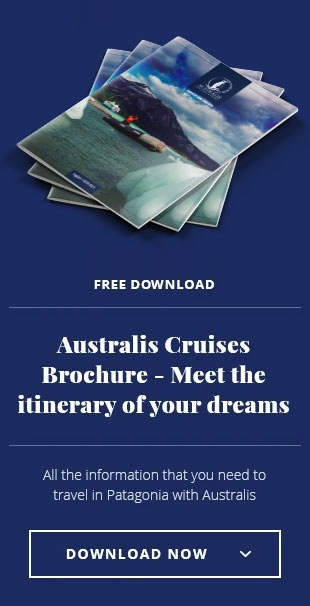 For full details of itineraries and seasonal offers on expedition cruise ship tours with Australis, the industry-leading experts, visit our routes and itineraries.